Next week we will be celebrating Independence Day!! 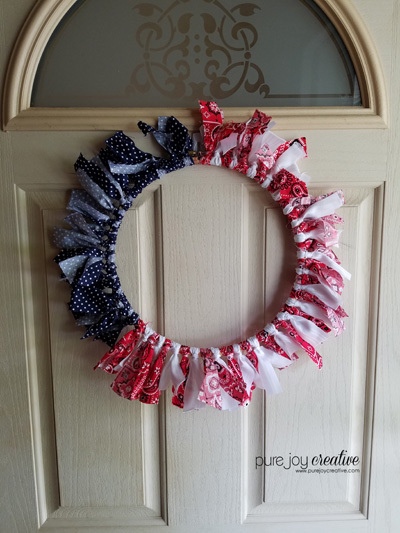 I thought it would be fun to change up the wreath on my front door to fit the season. 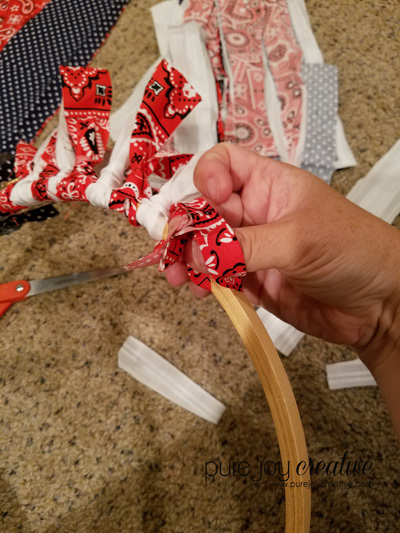 My friend from church told me about a wreath she had made using a bandana and when I saw similar fabric the other day I decided to grab some and make my own wreath. 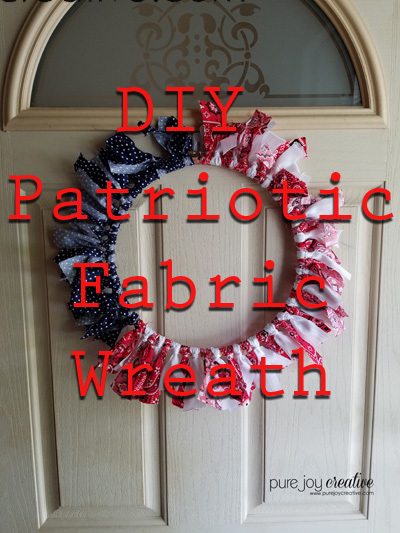 Here is a quick photo tutorial so you can make your own patriotic wreath for your front door too!! 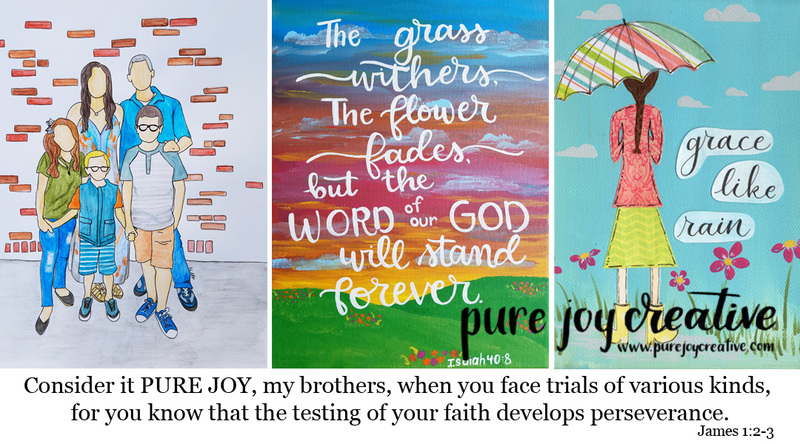 one in each color (red, white & blue) with whatever design on it that you'd like! extra embroidery hoops lying around use that. The one I used was a 12 inch hoop! 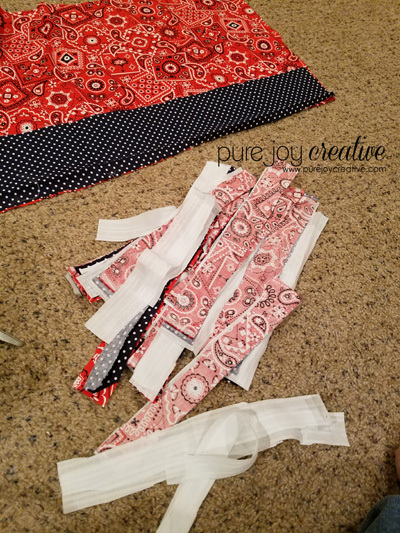 Cut the fabric into approximately 1 inch strips the long way on your fat quarter. I lined them all up and cut them at the same time. 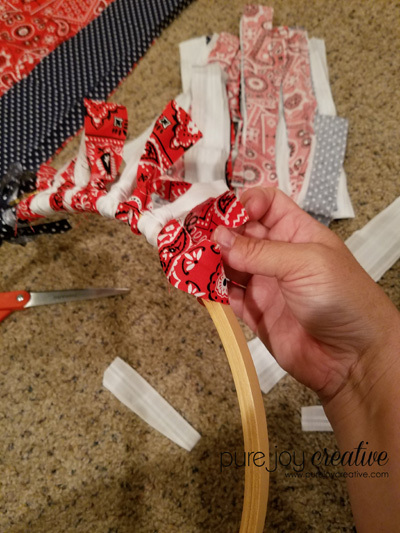 Cut those 1 inch strips in half. So you'll have a strip that is one inch thick and 6-10 inches long. Basically you're going to loop the fabric through itself. 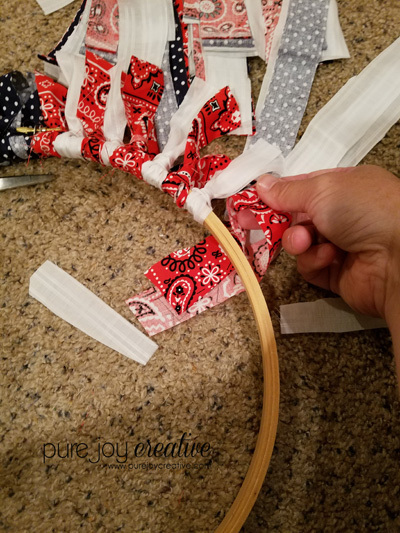 So make a loop behind the hoop, then pull the ends through going around the front of the hoop. Hopefully my pictures are helpful and not more confusing!! Continue this process until you have the hoop (or wreath form) all filled up. 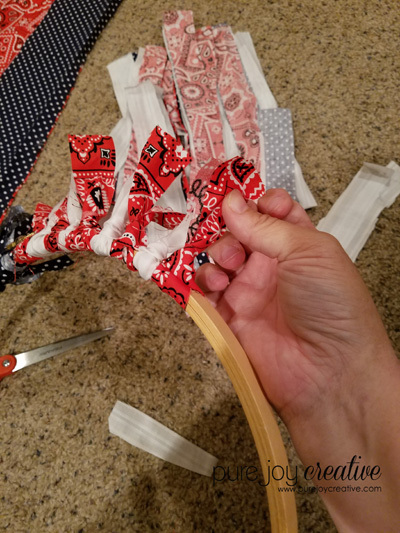 Make sure to alternate the red and white and keep the blue to the top left side of the hoop. Make sure to put tight on you loops otherwise they will want to come off.